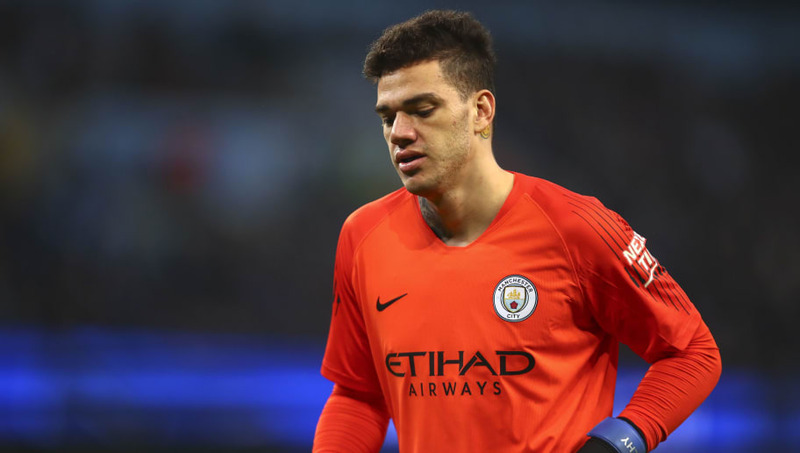 Manchester City could be without their first choice goalkeeper Ederson when they host Arsenal this weekend following a leg injury that was picked up during their recent defeat to Newcastle United. Rafa Benitez's side stunned the Premier League by coming from behind to register all three points against the reigning champions, with Matt Ritchie scoring the decisive goal from the penalty spot in the 80th minute. It wasn't just missing out on three points that Manchester City will be concerned about, however, as ​the Telegraph explains that goalkeeper Ederson suffered a nasty leg injury just moments before Ritchie's winning strike. The Brazil international was left with a gash on his leg which has club doctors concerned over his availability this weekend, with Arsenal next in line to face Pep Guardiola's side. The Gunners were unable to find a way past Ederson on the opening day of the season as City cruised to a 2-0 win thanks to goals from Raheem Sterling and Bernardo Silva, but they will travel to the Etihad with confidence if City's first choice keeper is ruled out. Sunday's hosts have been tipped to start Arijanet Muric for the first time ever in the Premier League if Ederson is unavailable. The Kosovo international has started all five of Manchester City's Carabao Cup games this season, conceding just one goal to Leicester's Marc Albrighton. Guardiola will be concerned as, despite the difference in league position between his side and Arsenal, the Gunners do have one of the most feared attacks in the Premier League. Pierre-Emerick Aubameyang has scored 15 goals in the Premier League this season and is only behind Mohamed Salah in the race for the Golden Boot. His strike partner Alexandre Lacazette is one goal away from reaching double figures.